The ever popular Room 1 is a spacious ground floor room that can be set up as a twin, with 2 single beds, or as a double, with a 6 foot wide super-king bed. The room is well proportioned and has a large en-suite with a shower. 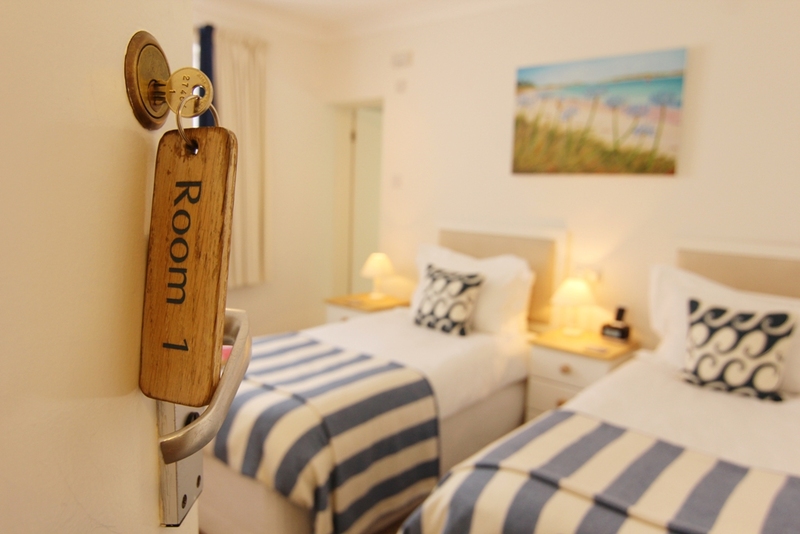 Room 1 is light and airy and is tastefully decorated in fresh coastal colours.